Dealing with how to air dry your hair can seem like such a slow and tedious way to manage your hair. However, if you are all about hair care and proper optimization, you should discard these thoughts and fears immediately. The less heat that you make your hair go through, the better for its long-term health, look and class. Many people don’t realize how much damage a dryer or straightener can cause to their hair, so air drying your hair becomes the natural and safe option. However, the time consuming nature of air drying means you need to be ready to move more readily in the mornings if you want the best of both worlds! How can you go about making sure that air drying your hair is going to be possible and easy in the mornings? Start off by paying attention to the conditioner that you use. Using shampoo and conditioner with every wash is foolish, and will only make it harder to manage your hair. You can use conditioner every time, but never shampoo. Try and find conditioners that are made for your own kind of hair and you can find that the added compatibility makes air drying your hair a little easier. Once done in the shower, make sure that you take the time to use cool water alone to rinse it out. Cold water seals hair cuticles and keeps in the moisture that your conditioner introduced in the first place! How, though, does this matter in the bigger picture of how to air dry your hair? Start off by applying any kind of hair product that you want to use once you still have semi-wet hair. 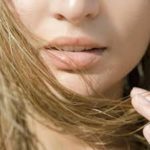 Look for lighter products such as styling creams or oils and you can find that they work better for making your hair shine properly – the real look you want with air drying. A bit of product that is right for your hair can play a big role in improving the quality of your hair. Start off by giving your hair a light brush afterward, too. Wet hair is more fragile so you naturally want to take it slow – use microfiber bristle brushes as they tend to help your hair get shaped even when wet so you can style it when air drying. Also, look to re-apply the product used on a minimal level once it beings to dry out a little. Depending on the kind of hair that you have though this is not always a necessity. Throw a bit of extra product in there for moisture and to get rid of any frizz that might begin to form when air drying your hair. Lastly, make sure that while your hair is air drying you aren’t touching it every two seconds. Playing with it adds the chance for static as well for frizz to generate, so avoid doing so. Keep your hands to yourself and you’ll soon find that air drying is no more complex, challenging or time consuming than using a damaging dryer! Contact our hair salon to book your appointment and learn how to air dry your hair.